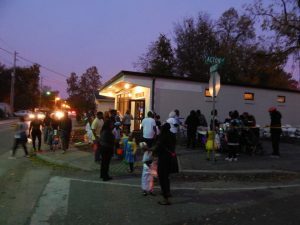 Natchez Social is the name of our community center located at 233 Natchez Street. The center serves as the hub of a lot of our ministries. The center is equipped with games like ping-pong and fooseball, a big screen TV and computers. 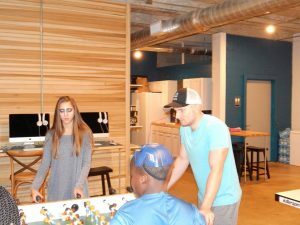 Natchez Social is open before and after school as a safe place for the neighborhood students to come and hang out. 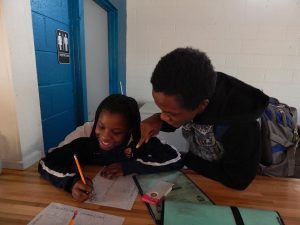 On Tuesday evenings, students meet for a time of fellowship, games, and Bible study, called TNT (Tuesday Night Teens). 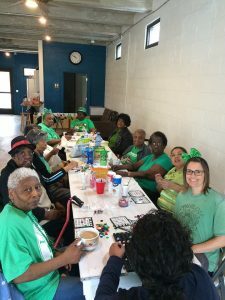 Every Wednesday and Friday, from 9:00am-12:00pm, a group of ladies called Sassy Seniors invades Natchez Social for a time of fellowship, laughter, crafts, and Bingo. Wednesday evenings hosts an adult Bible study from 6:00pm-7:30pm. In addition to these activities, breakfast is served one Saturday a month and we have regular cookouts and block parties for the community.